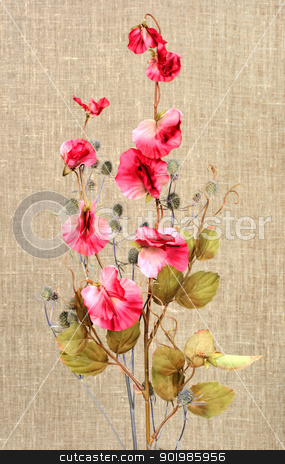 Bouquet with pink artificial flowers and nature branch on textile background. Close-up. Studio photography.